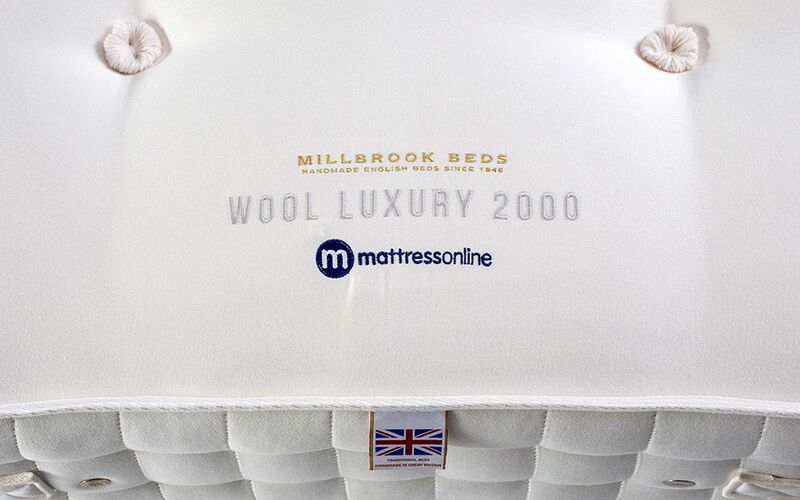 Experience sleep like never before with the Millbrook Wool Luxury 2000 Pocket Mattress. Millbrook have carefully selected Hampshire fleece wool for this stunning mattress. A unique, single black Hampshire wool tuft signifies the inclusion of this premium wool inside. Locally sourced from Hampshire lambs, this wool is thicker, fuller and more resilient than standard wool - for a more comfortable night's sleep, the natural way. Naturally breathable, wool is the ideal comfort material to keep you warm in winter and cool in summer. Blended with layers of natural cotton, luscious silk and cashmere, this mattress is truly luxurious. 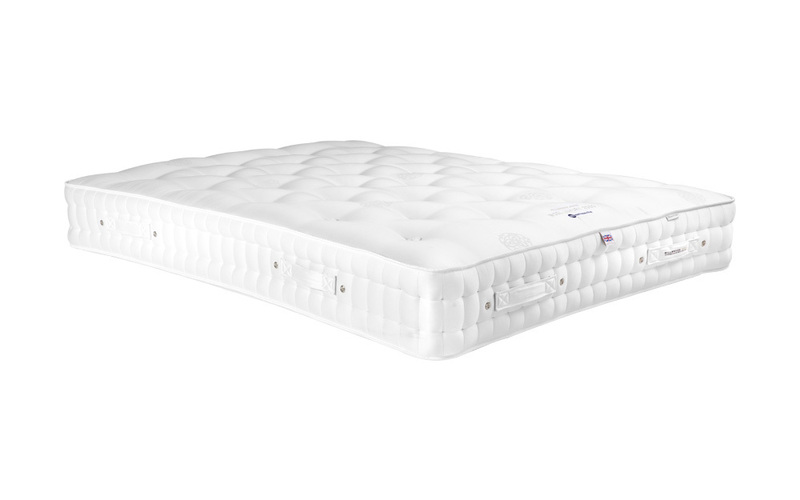 Traditionally hand-tufted, this mattress locks in all the plush comfort and provides enhanced support. Good postural support is essential for healthy night's sleep. 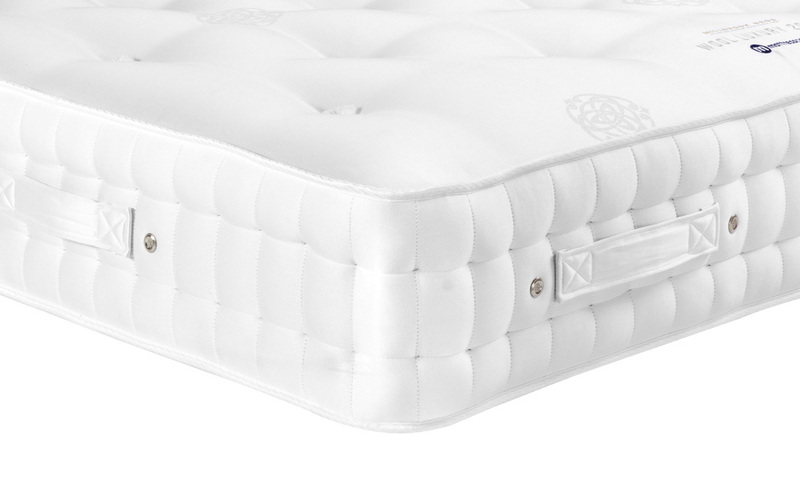 The Wool Luxury 2000 features 2000 individually hand-nested pocket springs, in a perfectly balanced medium-firm support rating. Since each pocket spring is individually encased, they actively work throughout the night to support your body, exactly where you need it most. Pocket springs are considered a superior spring system - and for good reason! There's no roll-together or roll-off, and you won't feel your partner's movements as you sleep. It's the perfect recipe for a peaceful night's sleep. Maximised sleeping space is a must for a good night's sleep - whether you sleep with your partner or you get the bed to yourself! 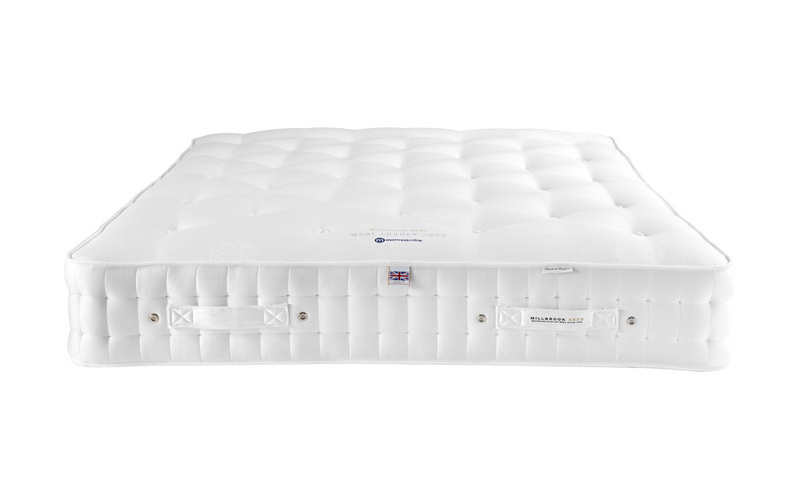 Complete with two rows of traditional hand-stitching along the mattress sides and reinforced mattress edges, you'll enjoy edge-to-edge support - without fear of roll-off! 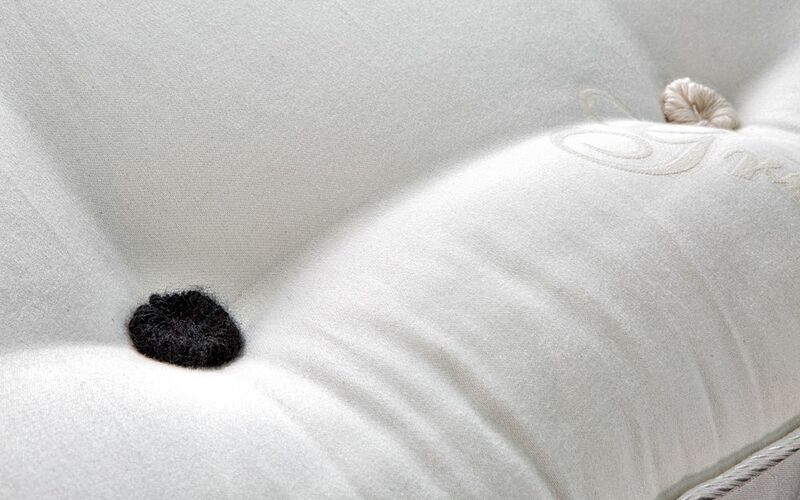 The Wool Luxury 2000 is finished with a beautifully soft-touch Egyptian cotton fabric cover. It's a mattress that looks as good as it feels! Complete with built-in turning handles, it's easy to move your new mattress. As it's double-sided, we recommend that you flip your mattress regularly to keep it in great condition. Handmade by expert craftspeople in the UK, this mattress has been produced to the highest standards. Sleep soundly: it's approved by the National Bed Federation, too! The best mattress I have purchased. I have bought cheaper in the past but none compares to the comfort and support this mattress gives. Weston-super-Mare Early retired teacher ? Substantial. Lots of handles for turning. No roll together. Quite heavy. Probably former than I expected.